The new Uplands Park KIOSK was celebrated at the 2014 Annual Oak Bay Tree Appreciation Day. 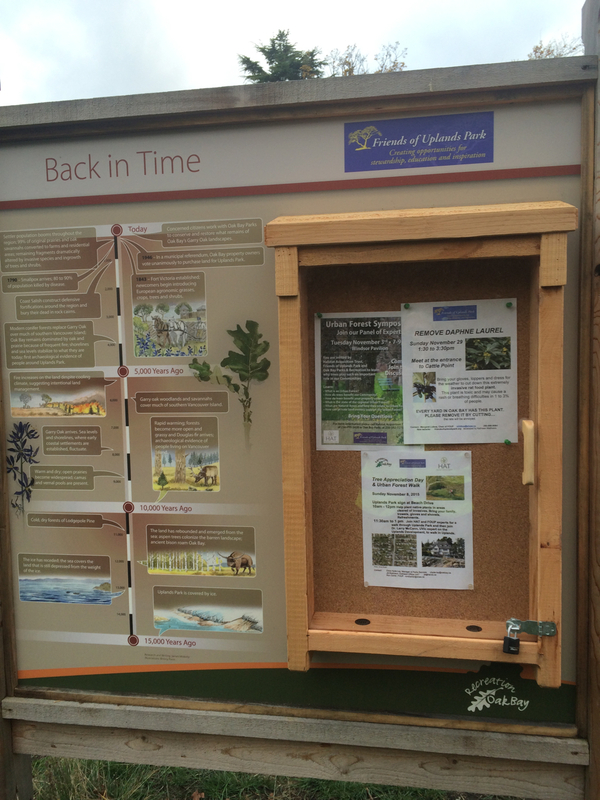 A new Friends of Uplands Park information cabinet was installed on the KIOSK just in time for the 2015 Oak Bay Tree Appreciation Day. 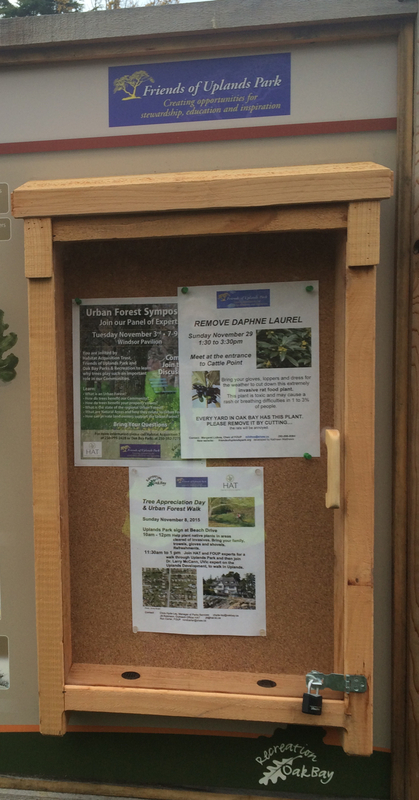 The beautiful new cabinet was designed and constructed by Oak Bay Parks, and will be used by FOUP to announce upcoming FOUP events and news.